A presentation of the European aerosol industry for Latin America. 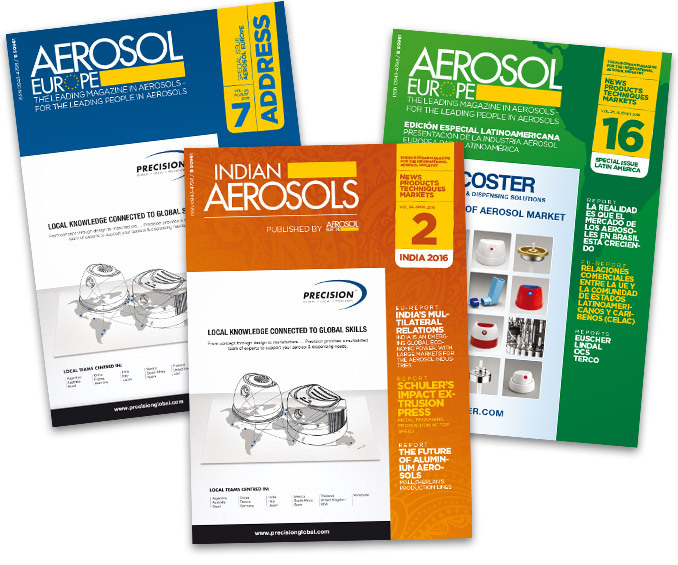 It is published in English and Spanish and covers the entire range of topics relating to the aerosol industry. A presentation of the European aerosol industry for China. It is published in English and Chinese and covers the entire range of topics relating to the aerosol industry. A presentation of all addresses and contact information regarding the international aerosol industry supplemented by company profiles, interviews and markets information.